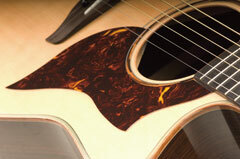 The AC1R features hand-selected premium solid Sitka Spruce tops and rosewood back and sides. Yamaha’s original concert-size body style perfectly complement the A-Series elegant looks while the System 66 preamp and SRT pickup ensure solid plugged-in performance. 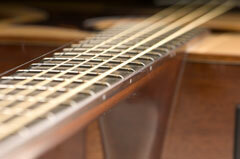 The A Series construction was designed with one thing in mind – tone. Deep, rich lows, an open, detailed midrange and clear, musical highs give your music room to breathe while underpinning your sound with an unmistakable, timeless character. Hand-selected tonewoods combine with intricately-crafted construction to create a guitar with incredible resonance and personality. The natural feel of perfectly finished wood. A neck shape make you feel like you’ve known it for years. An action that is somehow effortless, yet still rewarding. These are the things that add up when you just know that a guitar feels ‘right’. These are the things that make an A-Series feel the way it does. Extensive research with players, luthiers and techs has given A-Series the feel and playability that today’s acoustic-electric players need and want whether that means switching from electric to acoustic on-stage, recording a session with intricate open tunings or practicing at home. Compromise was never an option with A-Series – on every level, this guitar is built to be the one you want to own. Real wood binding, original wood inlays, a new and distinctive headstock and a scratchplate with a story. The look of A-Series is the definition of elegant – simple, but powerful.